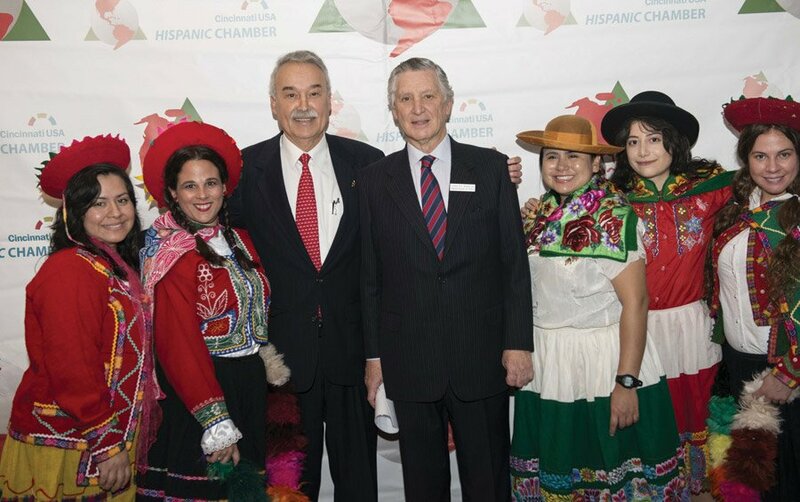 The Hispanic Chamber Cincinnati USA hosted its annual gala, which honored keynote speaker Carlos Pareja, Peru’s ambassador to the U.S., and featured a shoe contest. The event also recognized Dr. O’dell M. Owens with the Amigo Award for his accomplishments in helping underserved populations. In the Hispanic Chamber’s 21 years of operation in Cincinnati, only six Amigo Awards have been presented. The Hispanic Chamber of Commerce works to promote the continued growth and development of the Hispanic/Latino business community in the Tri-State area.